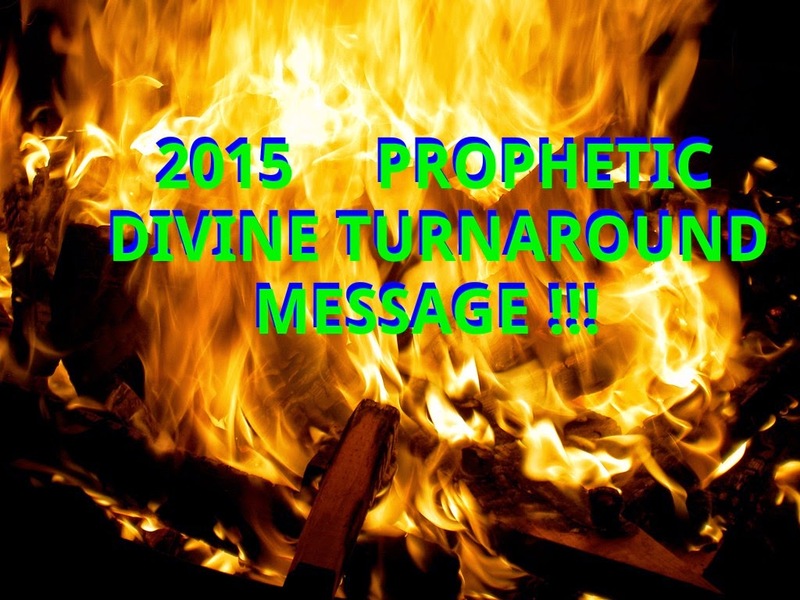 2015 is the year of Divine Turnaround, The boomerang, and apostolic grace. Dutch Sheets says that God's Grace will be poured out like never before for the first 6 months of 2015, but what does that mean ? He is talking about a divine Boldness given to us, and Jesus making things happen for us, but there is much more to it than that. This Apostolic Grace, the Divine Turnaround, and first 6 months, is also for our enemies to repent and turn to God, so they can be blessed, and escape both the penalties on this earth for their actions, and the penalty in the afterlife. Jesus always forgives our sins, and gives us eternal life, but most times there is still a penalty for our actions on this earth. What I believe God is saying to us, is that it's time for our enemies to know, that God is willing to expunge their records, not just in heaven, but also on earth, and that He will bless them. Why is God doing this ? Because, so many people with a prophetic message are preaching divine Judgment, and it is certainly on it's way, because God is just, but God does not want anyone to suffer Judgment, no matter what they have done. Jesus loves everyone. The Millennial reign of Jesus is coming, but in order for that to happen, we must consent to Him and His spirit being welcome here, and His Kingdom. That is why He is giving us authority to advance against the enemy like never before, and is allowing us to decree and declare His move in our areas of influence, but this is not our fight. No fight against the enemy is our fight. We are representatives of God, and God fights the battle. The Bible says that the Spirit wields the sword, not us. Are any of you trying to wield the sword ? We speak for God, and do what God asks us, but it is God who wields the sword, who does the miraculous acts, and brings things into manifestation. I can tell you the enemy's plans for 2015, but we aren't here to focus on the enemy, because He is already defeated, and His plans are going to boomerang back in his face, and the faces of his agents and servants, unless they repent and follow God. The fires of hell will misfire. God has raised up men and women all over the world, who are now being called to stand, and advance against the enemy. God is giving us Divine Wisdom, Knowledge, Favor, Courage, Boldness, Valor, Humility... and whatever else we need to see His plan manifested. We have been sowing for 10 years now, but it's time for reaping. It's time for harvest. There are people all over on TV, and on the Internet, and in every day life, who believe, follow, and practice mysticism, spiritualism, the occult, librarians, people who worship the creation instead of the creator, wiccan, witchcraft, and all kinds of new age, new world religions. The enemy doesn't care what they believe as long as they don't follow Jesus. This year in the 2015 Grammy awards, although all of them professed different beliefs, they all bowed down before satan on TV, in exchange for money and false power from the enemy. Satan is the only false god, and if you don't worship Jesus, you have a vacuum that is filled with satan. There is no other way to life but threw faith and a relationship with Jesus. These people have turned away from God, because those in authority in both the Church and Government, have failed them. God allowed people to be in places of authority, so that they would do His will and bring about Justice. God isn't surprised, He knew the best of the best would go astray. He knew they would compromise and bow down to false gods / satan. He knew they would allow a dual leadership in the Church of both satan and God. That is why He is raising up Davids against Goliaths, Moses against Egypt, and Josephs over Egypt, Elijah's against Jezebel... But their comission is not just to cast out evil, but also to bring those who have followed evil to repentance. Jesus loves them all. God has been calling His people all over to fast and pray. Specifically a Daniel Fast. The time is from February 1st to March 12th 2015 . So I am sharing with you what others have prophesied, but each of us is called to minister, and each of us gets a daily bread portion of revelation from God, so I am just adding the part that God gave me, which is about Grace for Repentance, healing, and why people have turned to other beliefs. Knowing the enemy's plans can be a good thing, so God can reveal what the enemy is doing, and how you can avoid it, and if you want to know about the enemy's plans, just look for a link in the description to a playlist full of the enemy's plans, but the most important thing is to focus on Jesus, and moving forward. We need to leave destruction & distraction in the past. Also, some people are putting this message on DVD only, and making money off of selling this 2015 message, but Jesus told us freely we receive, and freely shall we give, so I encourage you to share this video, and this word with everyone. "Great revival fire will now begin to burn through intercession soaked regions as My awakening begins to roll. The regions will now become activated by My glory. My shaking has come. I am shaking earth. I am shaking Heaven. Walls, strongholds, obstacles, and Hell's defenses are being shaken down and My remnant is being shaken free. My shaking will open ancient wells of revival. The revival in the womb of My intercessors will now be birthed. "The revivalist mantle is descending upon My righteous evangelists. The fire shut up in their bones will now become words of fiery passion. With My Gospel, I will shake open the capped wells of evangelism. I will shake open the ancient healing wells. Miracles will multiply. My angels are pumping those wells and they are opening new wells, new roads, new inroads, new mantles, new vision, new harvest. Behold I will do a new thing and you will see it. Now it will spring forth. "Because your cries have come before Me, because you have pursued My Presence," says the Lord, "because your worship has become sweet savor – the Lord of angel armies decrees over His remnant people, you shall now begin reality church, no more acting, no more actors, no more pretending. Real church, real disciples, real Christianity, real worship, real power, real glory, real miracles, real healings. It is ordained reality church. "I am now removing arrows shot into My royal priesthood. Arrows of betrayal, arrows of Jezebel, arrows of Absalom, arrows of deceit and gossip borne by lying spirits, arrows shot by those bound by religious demons. I Your God am removing arrows. You will be free. You will be healed. You will be restored and you will be on fire with My Presence for I have said I will make My ministers a flame of fire. It is ordained, your place of pain shall now be gain, and where you reign you will rise and rule with Me. "I am now coming to My remnant. And I am now coming as Lord Sabbaoth-Lord of Angel Armies. Because of alignment with My purpose, I will now align My hosts to assist aggressively. There is now a convergence of the angel armies and the Church's prayer army into a divine coalition; the coalition of My willing; those who run to battle, not from it. "My greatest campaign on earth is due. Decree it," says the Lord. "Align your words with Mine and angel forces shall align with you. Align with angel forces in your regions, and I will accelerate an alignment within your nation. Yes, revival is now. The harvest is now," says the Lord. "Victory is now," says the Lord. Arise and pursue My cause. Arise and roar. Arise and fight. Arise and shine. Your light has come, and the glory of your God shines upon you." The Lord says, "I have determined and will now cause a new season to bring forth. What you have prayed for, fought for and stood for is now being released. I have decreed it and I will not relent," says the Lord. "The greatest push of My Kingdom will now begin. The Third Great Awakening shall now advance in tidal waves of My power. It is the season of My surge," says the Lord. "You will now see the new breed of remnant warriors that I have reserved for this day and hour. Those who have not and will not bow to Baal, mammon, or religious impotence – they will have the set countenance of Daniel and will not flinch in the face of evil decrees. As Esther, they will rewrite them by My statutes. Governors of the culture will now come forth. Remnant warriors will now emerge who have the heart of David, the wisdom of Solomon, and the tenacity of Paul. "The call to My remnant is to now rise and destroy defilement in your region. Resist and reign. Resist and stand. I will rise to battle for My people," says the Lord. "I will display My strong arm for them. I will not stand down. I will not be indifferent. I will not be a bystander. I will rise and I will thunder against iniquitous roots and abominations that mock Me. I will rise against idolatry. I will rise against antichrist government that disdains and mocks Me. I will not close My eyes. I will look. I will see. I will know, and I will judge in fairness. I will not relent," says the Lord. "I will not be mocked. I will answer passivity with bold aggressive warriors of purpose. "And I will now reveal revival fire engines; places emanating with Holy Spirit fire. Vortexes of tornadic fire will begin to spin through regions. I will now answer Baal's prophets by fire," says the Lord. "The fire of My glory will be fanned by Holy Spirit winds. Hell will not stop it. Hell's obstacles will become its fuel. I will flame. I will burn. I will consume with Holy Spirit fire. "I am sending fire," says the Lord, fresh fire, "Heaven's fire, and My remnant warriors will burn with My message; they will burn with My passion, they will burn with My presence. They shall be Holy Ghost possessed reformers. I will answer the weak forms of godliness with those will not deny My power. They will release it in My name. Demonstrations of My mightiness will confirm their witness and creative miracles will be seen and reported. "You shall more than conquer, so shift – shift into the new season that I have ordained. Shift now into relevance and purpose that I have ordained. It is the season of My awakening. It is the season of My harvest. It is the day of the saints. It is the day of My power. Arise with Me and run into a new season. Rise with Me and move forward to destiny. Rise with Me with great purpose. Rise and receive your Pentecost. Rise, rise with Me," says the Lord. "Rise and run to a new purpose and time. Rise. Rise and run into the day of My power. It is the day of My power," says the Lord. "It is the day of My power. It is the day of My awakening. It is a season of My great harvest." Our Independence might not be what we think it is. The Bible has a long history of independence, and our history books do as well. God's original plan was for us to be completely dependent on Him. In the beginning when the All perfect God, created an all perfect creation, He chose to allow all of His thinking creations to have Independent thought, including the angels, and mankind. God's will was that we would surrender our hearts and minds to Him, and allow Him to guide our feelings, thoughts, and actions. God wanted us to be completely dependent on Him, but God knew that because He gave us independent thought, that Satan would decide to become independent of God, to try to become like God, and that as a result of this sin, Satan would be sent to earth, and would tempt mankind to choose independent feelings, thoughts, actions, in exchange for independent knowledge that would cause them to be out of God's will, and therefore sin. This sin was committed, out of a desire to be like God, and to be able to be the god of our own lives. Today many people ask how God could create an imperfect world, and allow Satan to exist. The truth is that before creation, God knew Jesus would have to suffer and die on the cross, in order to allow His creation, with independent feelings, thoughts, and actions, to be able to have righteousnesses, as well as the freedom to do wrong or right. This is not a fault of God. God is never at fault. 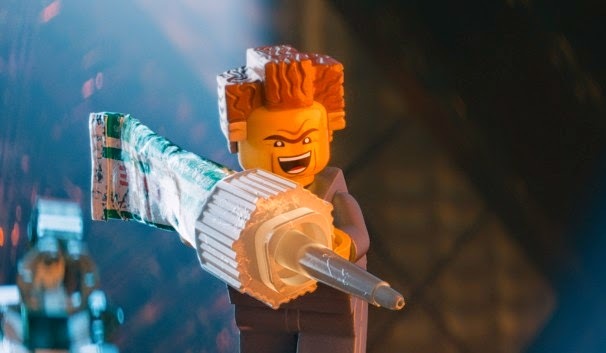 If God were to take away our freedom, liberty, and independence, we would be like programed robots, and or like people super-glued in place, only allowed to do what is right, but even with super-glue we would be able to have bad thoughts. History teaches us, that we can bind people, shackle them, beat them, and force them to do what we want, but we can not change their hearts and minds. God wants us to love / choose Him willingly. Another question people ask, is if God is the same, yesterday, today, and forever, then why did He appear to be more harsh in the Old Testament of scripture ? The majority of God's people in the old Testament weren't interested in God, or being God's people, unless it got them out of a tough situation. They didn't have a relationship with God, they didn't pray to Him, or approach Him. God seemed distant from their perspective, and so they decided to construct idols, legends, and myths that they could follow instead, without fearing their constructions, or having to have a relationship with it, and best of all their constructions, didn't feel, think, or act, so their idols agreed with whatever they would do, making them the gods over their own lives, and the lives of whoever else followed their construction. A leader was appointed by the people and by God, to seek God, sense the people were too afraid. The appointed leader, would convey God's message to the people, who would ignore it, unless they were desperate. After Jesus came into the world, people started having personal relationships with God. Jesus instructed us to make Him the head of His Church, and for there to be no leader except Him, and that we are to address one another as brothers and sisters of Jesus, all one family. In the day of the first king of Israel Saul, God warned His people what would happen if they demanded a king. 10 So Samuel told all the words of the Lord to the people who asked of him a king. 11 And he said, These will be the ways of the king who shall reign over you: he will take your sons and appoint them to his chariots and to be his horsemen and to run before his chariots. 12 He will appoint them for himself to be commanders over thousands and over fifties, and some to plow his ground and to reap his harvest and to make his implements of war and equipment for his chariots. 13 He will take your daughters to be perfumers, cooks, and bakers. 14 He will take your fields, your vineyards, and your olive orchards, even the best of them, and give them to his servants. 15 He will take a tenth of your grain and of your vineyards and give it to his officers and to his servants. 16 He will take your men and women servants and the best of your cattle and your donkeys and put them to his work. 17 He will take a tenth of your flocks, and you yourselves shall be his slaves. 18 In that day you will cry out because of your king you have chosen for yourselves, but the Lord will not hear you then. 20 That we also may be like all the nations, and that our king may govern us and go out before us and fight our battles. 21 Samuel heard all the people’s words and repeated them in the Lord’s ears. 22 And the Lord said to Samuel, Hearken to their voice and appoint them a king. And Samuel said to the men of Israel, Go every man to his city. So as you can see here, clearly, the people only wanted someone to go out and fight their battles for them. This was their reason for appointing a King, rather than following God. Traditionally God would command all of His people, who were able bodied Men, to fight the wars and battles of God's nation. Instead of trusting God, the people wanted a King to fight their battles for them, even at the expense of becoming slaves. The people weren't just slaves to the king, but also nations that ruled over them, after the people and the king did wicked things in the eyes of the Lord. So then the people became accountable for their own sins, and the sins of the king they demanded from the Lord. In the same way the founding fathers of the United States, spoke against any standing army, and called them mercenaries, and instead wanted every able bodied man to have a weapon, ammunition, and know how to use it. The difference was, that a Government was appointed by men, and the Government chose to become independent of God. 2 The scribes and Pharisees sit on Moses’ seat [of authority]. 3 So observe and practice all they tell you; but do not do what they do, for they preach, but do not practice. 5 They do all their works to be seen of men; for they make wide their phylacteries ([a]small cases enclosing certain Scripture passages, worn during prayer on the left arm and forehead) and make long their fringes [worn by all male Israelites, according to the command]. 7 And to be greeted with honor in the marketplaces and to have people call them rabbi. 8 But you are not to be called rabbi (teacher), for you have one Teacher and you are all brothers. 10 And you must not be called masters (leaders), for you have one Master (Leader), the Christ. 11 He who is greatest among you shall be your servant. 12 Whoever exalts himself [[c]with haughtiness and empty pride] shall be humbled (brought low), and whoever humbles himself [whoever has a modest opinion of himself and behaves accordingly] shall be [d]raised to honor. So after Jesus went to heaven, a few of the 500 followers who witnessed Him here on earth after He rose from the dead, 12 of His followers, believed themselves to be greater than the other 500 who witnessed Him here on earth after He rose from the dead, or than others who hadn't seen Jesus first hand. So these 12 followers named Churches after themselves, and appointed men as leaders in these Churches. Paul quickly realized that the people in the Church of Apollos (named after Paul) were claiming to follow Paul as their leader, rather than following God. The reason the 12 followers of Jesus appointed leaders in Churches, was similar to the reason the Israelites appointed a king over Israel instead of God. They wanted to have Church leaders, just like the Jewish leaders, and other religions, instead of allowing each person, and the groups to be lead by the Spirit of God, and God's words. Some of the people in these Churches, enjoyed having a leader, because this leader could be told to have a personal relationship with Jesus, and study His words, giving the Church members time to go on about their own lives, and do as they please, and also if they could get their leader to condone their actions, then they could try to justify them, as they did in the Church of Apollos. In 1st Corinthians Paul Says: 10 I appeal to you, brothers and sisters, in the name of our Lord Jesus Christ, that all of you agree with one another in what you say and that there be no divisions among you, but that you be perfectly united in mind and thought. In order to be united in mind and thought, our thoughts and minds, must be in line with Jesus and what He wants for us. Selfishness has no room. We must be willing slaves to Religiousness so we don't become slaves to evil. So many times in Churches, and other religious circles and groups, Pastors / elders / leaders of Churches, will say that Jesus' scripture that says there are to be no leaders except God, does not apply to them, or that those who are not leaders, or who haven't been educated in Bible College, can't understand that scripture correctly. God is the same, today, yesterday, and forever. He has, does, and always will want to be the leader over us as individuals, as a body, and at any other level. In order for this to happen, we must all surrender to His perfect will, and continually pray for help to be humble, and not look at ourselves as better than anyone else, and not to allow ourselves or others to appoint us as spiritual leaders. It is all a pyramid scheme. In the beginning God made us equal to Him in righteousness. Not in authority, or power, but in righteousness. God gave us dominion over the earth, and everything in it, just like appointing a King over a nation, or a leader over a Church, except that the animals and nature were not people. The same consequences took place when man kind sinned as well. All that Man was appointed over, suffered because of Man's sin, just as a nation suffers because of a king, and a Church suffers because of appointed leaders. After that Man was still not cut off from God, because God allowed Man to have righteousnesses, if Man would only have faith in God as Abraham did. This religiousness, restored Abraham in God's sight, but it didn't make Abraham a brother of Jesus (as far as we know) or a son of the Father God (as far as we know). After Jesus came, died, and rose again, He paved the way for us to become His brothers and sisters, adopted by God the Father as sons and daughters. We were given all authority, as equals with Jesus in God's sight, as long as we are completely dependent on God, His will for us, keep our faith and trust in Him, and ask Him for help to do what He wants us to do, and keep from Sin, our daily bread... (the Lord's prayer) So in God's sight we are now equal with Him, as long as we completely submit to Him, and follow His will, after being reconciled by Jesus. No matter how close to God we get, our human nature is to think and act independently, with our own common sense, knowledge, and effort. We all make these mistakes from time to time. None of us are perfect, and this is an excellent reminder. The stories and the people other than Jesus in the Bible are all examples of imperfect people. In the book of Acts, the followers of Jesus argued, and had division amongst themselves. The only way to be free, and independent from the slavery of sin, death, decay, immorality, lusts, criminal, and selfish desires, is to become completely dependent on God, and become slaves to righteousnesses. We must always be open to correction from God, even if it's threw someone else. We must also not allow those who go on crazy tangents to stomp all over us with their so called righteous anger. We also need to understand, that some of us were raised in good, moral homes, and others were not, and that when people act out, or do unspeakable things, there is usually a reason why, and a root cause. Jesus loves everyone equally. No one is worthy of any more honor or glory than anyone else, and no one is worthy of any honor or glory except Jesus. To say that elders / leaders are worthy of a double honor, is to say they deserve a double honor of Jesus. Timothy was flawed in that way in the Bible. All men and women are flawed, and it is by design, for if we were not flawed, then we would not need God for anything, and by our own religiousness we could become gods. Some people say everything is a Pyramid. That is to say the structure of a pyramid scheme, is common and acceptable. In Jesus there is no pyramid or scheme. Everything and everyone is equal. Satan however has no authority on his own, except authority that is given to him, by those who follow him. Satan was given authority by Eve, and she got her husband to participate under her false authority from Satan, when she really was giving authority to Satan. The authority each one of us has to hand over to Satan, is authority over us, our lives, and our destiny. Once we give Satan authority over us, he instructs us to take from others, and make them subject to us, making others subject to Satan by proxy, however believers who have dedicated themselves to Jesus, will still belong to Jesus, even if those who follow Satan, appear to have authority and dominion over the followers of Jesus. Those who follow Satan become slaves to sin, selfishness, lusts, and all evil desires and impulses. Once their chains become thick and are connected to all areas of their lives, Satan can easily manipulate them, and have them do Satan's work, or lead them off a cliff. 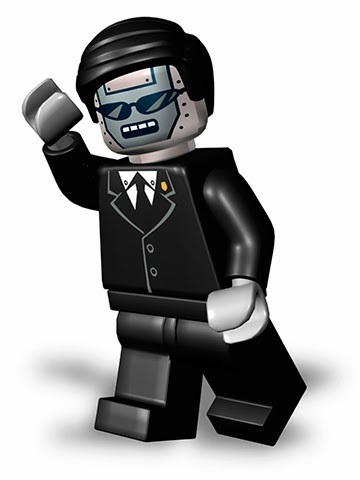 Satan makes them robots / puppets, without an ability to be independent from him, because they are completely controlled by their lusts, wants, and desires. Only Jesus can set them free, and only by submitting fully to following Jesus voluntarily, can you be free from Satan. In this world, in this day, many are submitting before evil cults and criminals, in exchange for a false promise of security, a job, safety, wellbeing, wealth, prosperity, power... not only for themselves, but for their children, friends, and relatives. These people may be good people, who just can't seem to get ahead, so they submit to evil, and they still seem like good people. They don't fully trust God, to stand alone with God, and not give in to any kind of evil. It's that mentality of shut up and do what your told, no matter what, and you will get ahead, and have no problems. If these seemingly good people would have put their faith and trust in God, and God alone, He would have allowed them to participate in brining the evil down, and showing others the way to God. Instead they give in to fear. They seek the easy way out. The wide road that leads to sin and death and destruction. It seemeth right to men, to do as your told, and get ahead, no matter the cost or compromise, but in the end is sin and death. Only the narrow road leads to life, and few find it. It's a road of direct dependence on God. I have seen people who work for Churches “submit to man's authority” to gain false authority, and prosperity, with a promise of a good job. This is a false foundation. Any time, in a Church, or spiritual group, you are told to submit to another person's authority, rather than submitting directly to God's authority, you are laying your foundation on sinking sand, and building a house made of shoddy materials; wood, hey, and stubble. Instead build your house directly on the Rock who is Christ Jesus, and your house will be made of Gold, Sliver, and Costly Stones, and won't burn up in the fire. The fruit of your labor will be good, and last ! This can seem difficult. Imagine a Denomination, or Church Label tells you that if you will submit / bow to their leadership, and do what they say without question, that they will make you the pastor / leader of a Church, and have all the people in your “flock” (I thought it was Jesus' flock?) submit to your authority no matter what, and your wife will be taught to submit to you and the elders of the Denomination / Church Label (sounds Biblical right ?) as well, and they will even finance everything, and make sure it succeeds. What if God has another plan, as we see in the Gospel of Jesus ? What if His plan is to be the head and leader of the Church, and have God the Father as the Father of the Church, and Jesus as the teacher ? What if God wants to start a revival that goes across the entire world ? What then ? 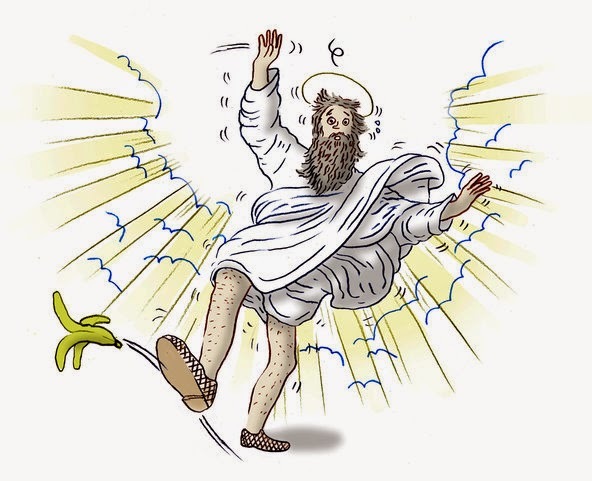 Well all I have to say, (sarcastically) is that Jesus had better check with the Church elders of whatever Denomination / Church Label that you have submitted yourself to, before He uses you or anyone else to do a move of God ! Think about that now. John the Baptist, was a voice out in the desert. He didn't have any Church or organization funding his operation, message, printing bulletins, or papers. John didn't have any TV spots, or stand in the big cities preaching from the synagogues, or anything like that. From our perspective, John the Baptist didn't ever amount to anything. He didn't have any wealth, his followers all left him, and he died as a prisoner. Yet Jesus said no greater man was born of Woman than John the Baptist, and John had the honor of baptizing Jesus. John didn't check with his earthly father, or the priests, or the synagogue before starting the ministry God had for him. Because of John's faithfulness to God, obedience, and faith, he now has a great reward in heaven ! What if God calls you to do something, very different right now ? Maybe while you are reading this message. Do you go against the grain, and put Jesus as the ruler over you, in your life, or do you submit yourself to an earthly leader, or allow yourself to be appointed as a leader over others ? Are you bold enough, do you have enough courage, and do you have enough faith, given to you by God (all glory and honor given to God for anything you think, feel, or do that is good) to follow His ultimate destiny for your life, your family, your finances, and your efforts, or will you become a part of Satan's evil pyramid scheme that ends in sin and death, and limits you from all God has for you ? I am not saying that it is evil to submit to the authority and leadership of others in employment, because we live in a fallen world, and it is the nature of things to have leadership, and a pyramid structure in most businesses, corporations, military, and government, but when it comes to spiritual things, we should have a relationship, not a religion. I can honestly say I was offered $20,000,000.00 to be invested into a business I would run, if I would give up my faith in Jesus. Do we really have an imperfect God ? 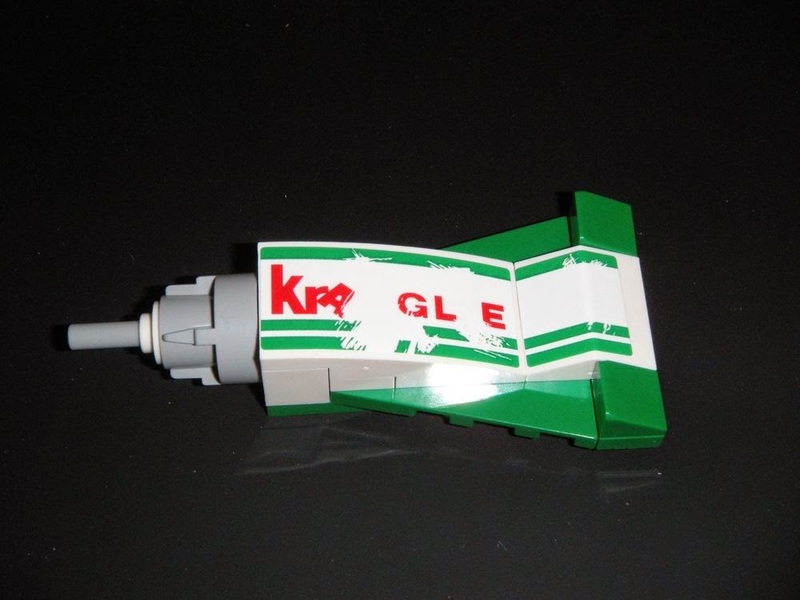 Obedient Robots, or Face the Kragle. 5 And said to him, Behold, you are old, and your sons do not walk in your ways; now appoint us a king to rule over us like all the other nations. 6 But it displeased Samuel when they said, Give us a king to govern us. And Samuel prayed to the Lord. 7 And the Lord said to Samuel, Hearken to the voice of the people in all they say to you; for they have not rejected you, but they have rejected Me, that I should not be King over them. 8 According to all the works which they have done since I brought them up out of Egypt even to this day, forsaking Me and serving other gods, so they also do to you. 9 So listen now to their voice; only solemnly warn them and show them the ways of the king who shall reign over them. 22 And the Lord said to Samuel, Hearken to their voice and appoint them a king. And Samuel said to the men of Israel, Go every man to his city." This is but one of many examples in the Bible where Men have chosen a leader, Idol, law... instead of dependence on God. The Untied States calls this the separation of Church and State. While every person has the right to defy God because of free will and free choice, every person that chooses to defy God also will suffer the consequences. Once you delegate someone else to manage everything for you, you will not be satisfied with the results, and the cost will be much higher than any reward. God has a plan for your life, and He loves everyone. 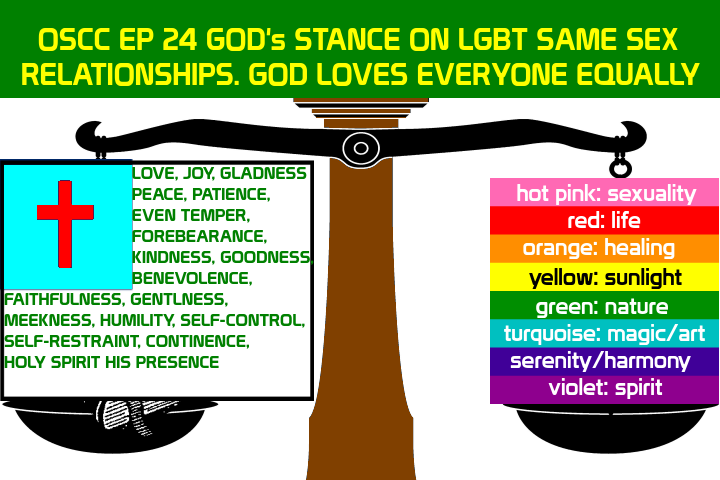 What is God's plan for people that are in LGBT Relationships, and what does He offer them ? This is not a hate video. Remember to Like, Comment, Share, and Subscribe ! I had to share this, because God showed me this lately, and I think it's all very crucial for the Church and Believers to follow God's will. First Half: Some times even when God asks a group or person to do something, when they have the wrong people involved, their glory seeking, selfishness can create a vacuum of dark energy that undermines what God is trying to do. It can also be a Church or congregation that is involved or represented by others who are involved, that seek to compete to be the best Christians, or best Church, instead of seeking to bring Glory, Honor, and Credit to God alone. Second Half: The Body of Christ (Jesus' Church) is to have Jesus as the head, and only leader. It's Jesus' body, and if it's sick, has cancer, or an infection Jesus can heal Himself. He laid His body down in death, and took it back up again. - John 10:18 "No one can take my life from me. I sacrifice it voluntarily. For I have the authority to lay it down when I want to and also to take it up again. For this is what my Father has commanded." We don't need human leaders trying to correct or heal the body. Jesus may speak threw people, and use their example, but it is only under Jesus' leadership. 8 "But you are not to be called 'Rabbi,' for you have one Teacher, and you are all brothers. 9 And do not call anyone on earth 'father,' for you have one Father, and he is in heaven. 10 Nor are you to be called instructors, for you have one Instructor, the Messiah. 11 The greatest among you will be your servant. 12 For those who exalt themselves will be humbled, and those who humble themselves will be exalted. "23 Then Jesus said to the crowds and to his disciples: 2 "The teachers of the law and the Pharisees sit in Moses' seat. 3 So you must be careful to do everything they tell you. But do not do what they do, for they do not practice what they preach. 4 They tie up heavy, cumbersome loads and put them on other people's shoulders, but they themselves are not willing to lift a finger to move them. 5 "Everything they do is done for people to see: They make their phylacteries[a] wide and the tassels on their garments long; 6 they love the place of honor at banquets and the most important seats in the synagogues; 7 they love to be greeted with respect in the marketplaces and to be called 'Rabbi' by others." I've had many people explain to me that they believe that human Leadership over people is essential. Jesus did not teach this. Jesus didn't say anything against children listening to their parents. Parents have some leadership and authority responsibilities. In Matthew 19 Jesus re-states marriage from Genesis and as it describes there (before the curse) Men and Women become one, and as one individual they would be equal before God. If we are not under the curse, then Men and Women should both be in direct relationship with God, however Marriage is the model between Jesus and the Church, and Jesus is over the Church, so some may say that Men should make final decisions, and women should be listened to and considered, and others may say that both women and men should make decisions equally. I encourage you to ask God what is right for your relationship and to ask your spouse to do the same. THIS IS AN EMERGENCY BROADCAST TO ALL CHRISTIANS. I AM UPLOADING A VIDEO RIGHT NOW. LISTEN TO THIS VIDEO AND PRAY OR SOON AMERICAN CHRISTIANS MAY BE ROUNDED UP, ARRESTED, AND MAYBE EVEN KILLED. THE US GOVERNMENT HAS DETERMINED THAT CHRISTIANS WHO TAKE THE BIBLE LITERALLY ARE EXTREMISTS, AND ARE A THREAT, ALSO PEOPLE WHO BELIEVE IN THE CONSTITUTION. WE MUST ACT NOW IN PRAYER IN ORDER TO PREVENT THIS FROM HAPPENING !!! WE MUST ASK FOR GOD'S LIGHT IN THIS SITUATION. WE MUST FORGIVE THOSE RESPONSIBLE FOR GIVING CHRISTIANS A BAD NAME, LIKE THE WESBORO BAPTIST CHURCH, AND OTHER HYPOCRITES. ALL IN JESUS' NAME BY THE POWER OF HIS BLOOD. WE MUST HURL DOWN THE ACCUSER OF THE BROTHERN, THAT ACCUSES US OF BEING EXTREMISTS THAT NEED TO BE ASSESSED AS RISKS AND ARRESTED. PLEASE DO THIS BEFORE WE ENDURE THE CONSEQUENCES. ALSO START PREPARING TO KEEP YOURSELF AND YOUR FAMILY AND FELLOW CHRISTIANS SAFE. The Department of Homeland Security has told State Police Departments to consider Christians as extremists and or terrorists. This is an Emergency ! Also some hypocrites give us a bad name as Christians. More about how our Government has said Christians are terrorists. Here is why I don't think people who kill themselves are doomed to spend eternity in hell. 1Pe 3:20 Which sometime were disobedient, when once the long-suffering of God waited in the days of Noah, while the ark was a preparing, wherein few, that is, eight souls were saved by water. Revelation 20: 14 Then death and Hades (the state of death or disembodied existence) were thrown into the lake of fire. 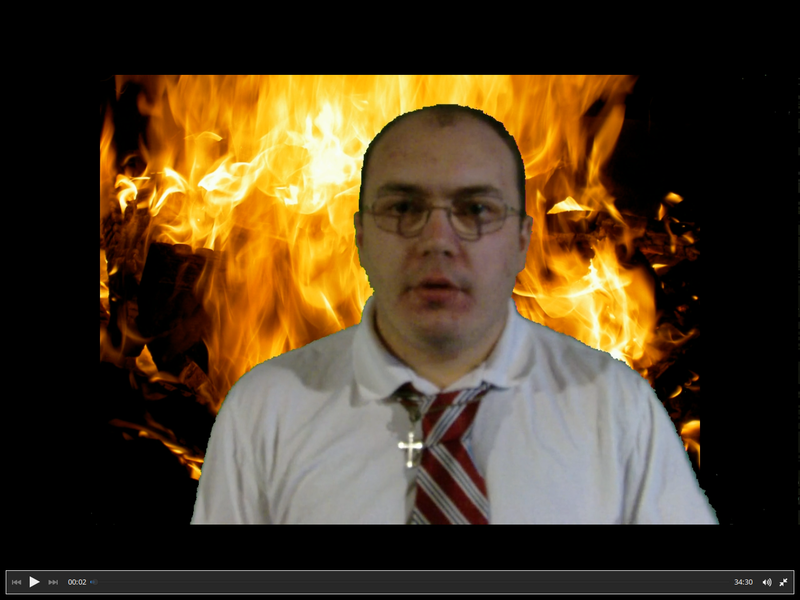 This is the second death, the lake of fire. 15 And if anyone's -name- was not found recorded in the Book of Life, he was hurled into the lake of fire. Therefore we can make the conclusion hell is not on fire yet, and that Jesus went there to minister to it's inhabitants and that it is possible for people in hell to be saved, and interceded for in prayer. Jesus has victory over Death and Sin. 1 Corinthians 15:55 O death, where is your victory? O death, where is your sting? 56 Now sin is the sting of death, and sin exercises its power -i--upon the soul- through -the abuse of- the Law. So people abusing the law, to make accusations against people, or Satan the accuser making accusations against people, causes death. 57 But thanks be to God, Who gives us the victory -making us conquerors- through our Lord Jesus Christ. 58 Therefore, my beloved brethren, be firm (steadfast), immovable, always abounding in the work of the Lord -always being superior, excelling, doing more than enough in the service of the Lord-, knowing and being continually aware that your labor in the Lord is not futile -it is never wasted or to no purpose-. Your labor in the Lord is not futile, wasted, or without purpose. Praying for someone after death is not a waste. There are also steps that can be taken to ensure that no untimely deaths, murders, or suicides happen again, to break Satan's strong holds, to take away whatever legal right he had to cause a death in the first place. This is done by Asking God for His light on the situation, to see who did what to give Satan the legal right to torment people on the land, in that place, in that family, in that Church, ect. Then once God reveals that too you, you simply ask forgiveness in Jesus' name by the power of His blood for whoever was involved in giving Satan the legal right to be there and cause death. Then you hurl down the accuser in Jesus' name and tell Satan that he has no right to come back to be there. You can also post angels in that place to guard it against any further demonic / Satanic attack. Remember that anyone can give Satan the right to return, or to invade any place and set up camp. As Sons and daughters of the Father God, and brothers and sisters of Christ we have that right. Most everyone I talk too however recommends no one try this alone. People who go it alone when combating the enemy can be overcome easier, and some have killed themselves. I can also say however that some that have followed this method above have seen people resurrected from the dead simply by forgiving the people responsible for giving Satan the right to cause death in a place, to a person, ect.